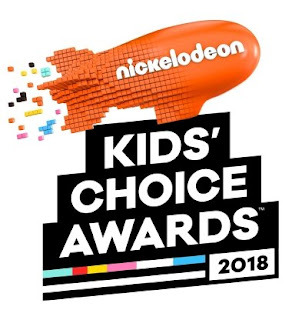 Nickelodeon has announced the nominees and a one-of-a-kind performance for the 2018 Kids’ Choice Awards. Celebrating kids’ favorites across movies, television, music and digital, this year’s nominees include: Dwayne Johnson, Gal Gadot, Beyoncé, Kevin Hart, Taylor Swift, Camila Cabello, Luis Fonsi, Shawn Mendes, Zendaya, Chris Pratt, Khalid, Cardi B, Selena Gomez, Millie Bobby Brown, Kendrick Lamar, Justin Bieber, Harry Styles, Chris Hemsworth, Ed Sheeran, Coco, Jumanji: Welcome to the Jungle, Guardians of the Galaxy Vol. 2, and Wonder Woman, among others. WWE Superstar John Cena returns as host of Nickelodeon’s 2018 Kids’ Choice Awards on Saturday, March 24, at 8 PM (ET/PT), live from the Forum in Inglewood, Calif.